As Bob Dylan approached the 30 year milestone of his recording career, he began to open up his massive archive of unreleased material. 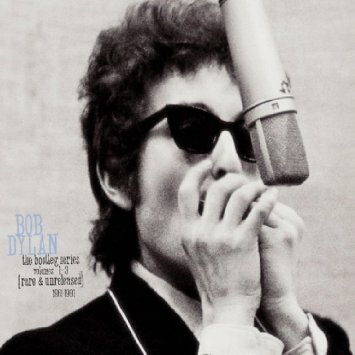 Most of the tracks on this initial release of the Bootleg Series had appeared on actual bootlegs before, but never got the official stamp of approval from the artist. Many of these songs were good enough to appear on an album and they also shed some light on Dylan's creative process. A groundbreaking release and perhaps the most valuable edition of the ongoing Bootleg Series the, an outstanding introduction to Dylan's expansive catalog. The first disc features recordings from Dylan's early years in the folk scene. 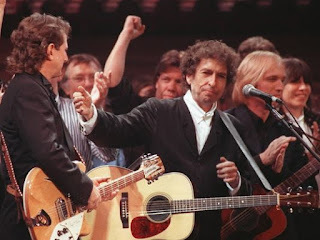 Some of the early songs included are "Hard Times in New York Town", "He was a Friend of Mine," and "Man on the Street" all capturing Dylan at the height of creative kinship with Woody Guthrie. Dylan's earth shaking second LP The Freewheelin' Bob Dylan had enough material for two records. Early tunes like the hilarious "Talkin' Bear Mountain Picnic Massacre Blues" and defiant Cold War anthem "Let Me Die in My Footsteps" hint at Dylan's growing power as a songwriter. 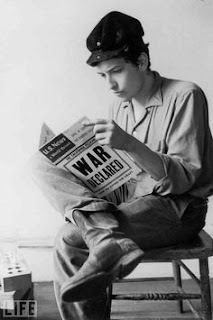 Topical "protest songs" dominated Dylan's output from 1962-63, everything from the reform school ballad "Walls of Red Wing" to the always relevant "Talkin' John Birch Paranoid Blues" (Dylan walked off Ed Sullivan when they disallowed him to play it in front of a TV audience). A few selections from his Carnegie Hall Concert on October 26, 1963 also appear, including brilliant "Who Killed Davey Moore." As 1963 closed out The Times They Are A Changin' LP was about to be released with some of the greatest protest songs ever recorded on vinyl. Appropriately, the first disc ends with Dylan's prose poem tribute "Last Thoughts on Woody Guthrie." The second volume covers quite a bit of ground, spanning ten years 1964-1974. Further acoustic outtakes reveal a more introspective streak, especially on "Mama, You Been on My Mind," a song Dylan loved to sing with Joan Baez. 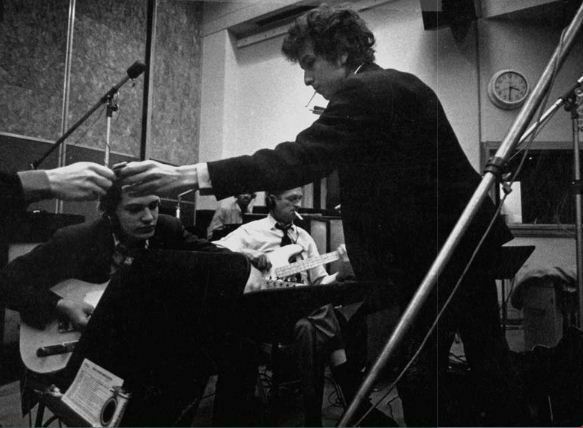 Dylan's transition to "electric" music on Bringing it all Back Home (1965) with an early demo of "Subterranean Homesick Blues" and the exuberant rocker "If You Gotta Go, Go Now (Or Else You Gotta Stay All Night)". Only a few selections are included from Highway 61 Revisited, with possibly his first attempt at "Like A Rolling Stone." On "She's Your Lover Now," an early outtake from Blonde on Blonde, you can possibly hear Dylan's creative breakthrough that led to those magical sessions in Nashville, a special moment for sure. 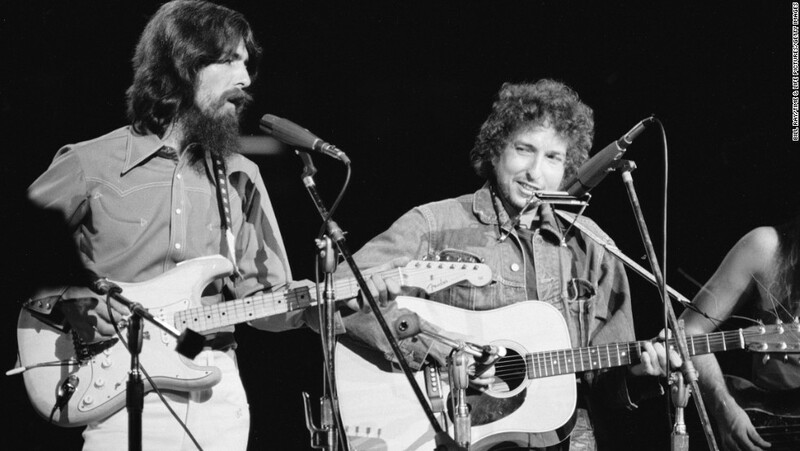 Then the disc jumps ahead, a highlight being Dylan's duet with George Harrison on "If Not For You." 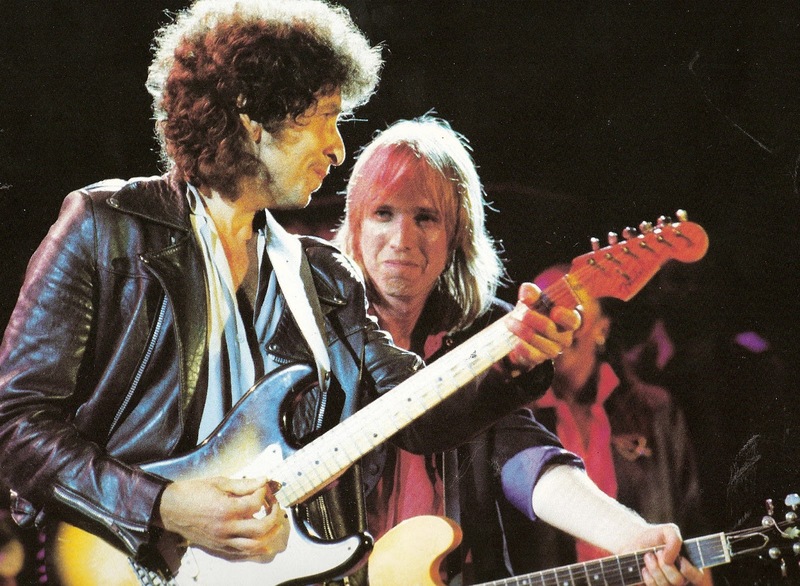 The highlight of the second disc are the amazing alternate cuts from the 1974 New York sessions of Blood on the Tracks, which were ready for release until Dylan decided to start over with a group of Minneapolis musicians on the advice of his brother. Early versions of "Tangled Up in Blue," "Idiot Wind," and "If You See Her, Say Hello" are much quieter and melancholy than the songs that appeared on the official release. Also, don't miss "Call Letter Blues" a far more viscous version of what became "Meet Me in the Morning." Dylan continued to tour throughout the 1980s, here Tom Petty joins him onstage. Dylan's post Blood on the Tracks career spans most of the third volume. Some of these are mere curiosities like "Catfish." A live version "Seven Days," a song Dylan wrote with Eric Clapton and performed during the Rolling Thunder Revue Tour in 1975-76 hints at the unique spirit of those concerts. Material from the Christian albums from 1979-1981 gets some coverage with an emphasis on Shot Of Love from 1981. Five outtakes from Dylan's 1983 LP Infidels sound underdeveloped with the exception of "Blind Willie McTell," a foreshadowing of where Dylan would be going creatively as he entered the late stage of his career. Even the infamous Empire Burlesque album from 1985 gets resurrected with a more upbeat performance of "When The Night Comes Falling From the Sky." Then an appropriate conclusion with "Series of Dreams" from 1989, one of Dylan's more interesting efforts towards achieving a modern rock sound. A valuable collection for any serious Dylan fan, these discs are a worthwhile overview of Dylan's first three decades as a recording artist. Dylan's peers pay tribute at the 30th Anniversary Concert on October 16, 1992. "Let Me Die in My Footsteps"
"Talkin' John Birch Paranoid Blues"
"Mama, You Been on My Mind"
This a must listen 3 cds, in my oppinion there are no weak songs, all 3 cds are amazing. I kind of lost track of Dylan after the LP Desire. So I bought this set for the first 2 discs. But it was the third disc that blew me away and encouraged me to catch up with the back catalog. Haven't made the mistake of straying from Bob's music since.